It’s been over a year since I first read Dr. Isik’s work on treating pleural mesothelioma. Since that time, Dr. Işik has continued his research into HITHOC and has now enrolled over 79 patients into the hyperthermic treatment group including one of the patients I met during my visit. (There are 29 surviving patients in the study, 13 in the mesothelioma group, the remainder are secondary pleural cancers.). 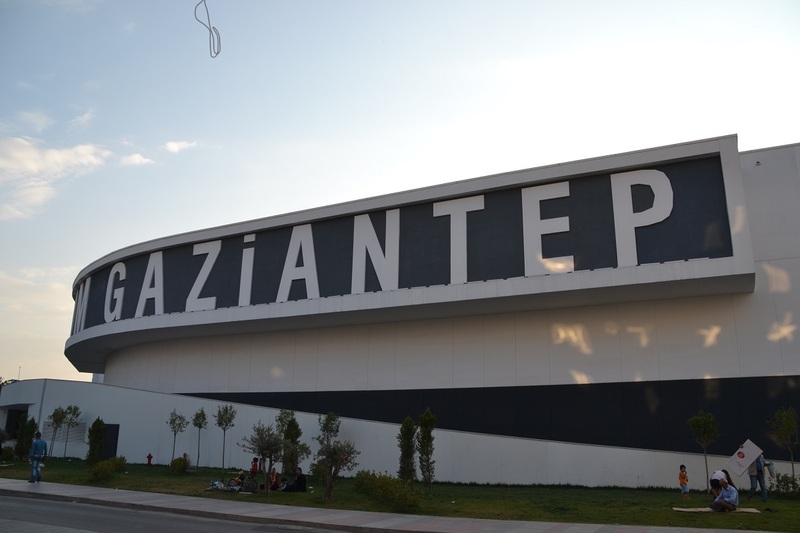 I don’t know what I expected Gaziantep to look like as one of the world’s oldest cities, but from the moment the airplane begins its descent into a beige dust cloud, to the desolate brush and dirt of the airport outside the city, it isn’t what I expected. Much of the antiquity of the biblical city of Antiochia has been replaced by a bustling modern city. Historic ruins and ancient Roman roads marking this as part of the original Silk Road are conspicuous, only by their scarcity. 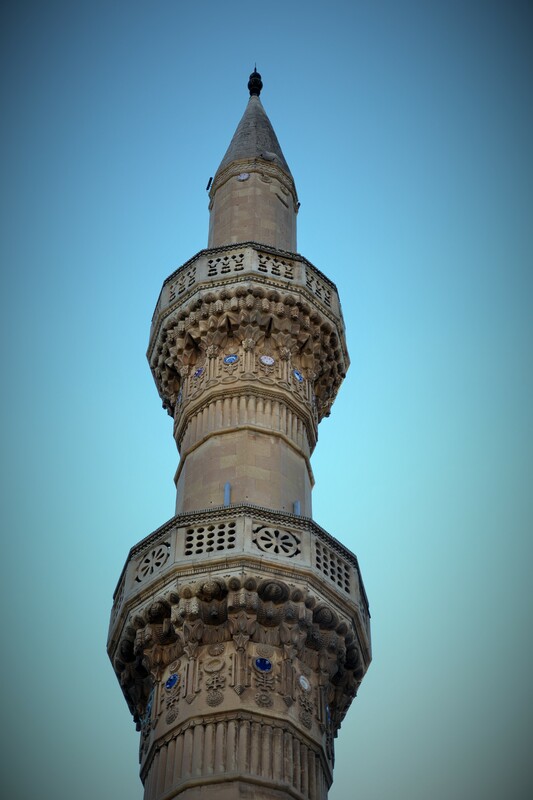 There are a handful of museums and monuments to the area’s rich history, but like the new name of Gaziantep (replacing Antep after the first world war), Turkey’s sixth largest city is modern; a collection of traffic and squat square buildings of post-modern architecture. The city is also a mosaic of people. There are groups of foreign journalists in the lobby of our hotel, and convoys of United Nations vehicles cruising the streets. Crowds of Syrian children play in the park, calling out in Arabic to their parents resting on the benches nearby. There is a smattering of Americans and English speakers interspersed, many are college students and other foreign aid workers on humanitarian missions to help alleviate the strain caused by large numbers of people displaced by the Syrian civil war. 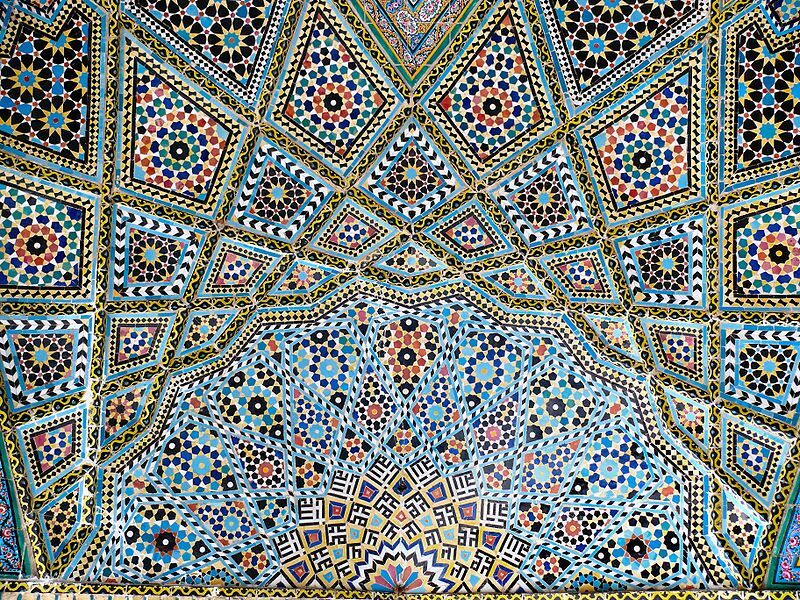 But like a mosaic, there is always more to see, the closer you look. For me, as I look closer, I just want to see more. I feel the same about Dr. Elbeyli’s thoracic surgery department. The closer you look, the more you see. The border (and the largest Syrian city of Aleppo) lies just to the south – and the impact of the Islāmic militants is felt throughout the region. No where is this more evident than at the local university hospital, where I meet Dr. Ahmet Işık and the Chief of Thoracic Surgery, Dr. Levent Elbeyli. I like Dr. Işık immediately. He is friendly and appears genuinely interested by my visit. 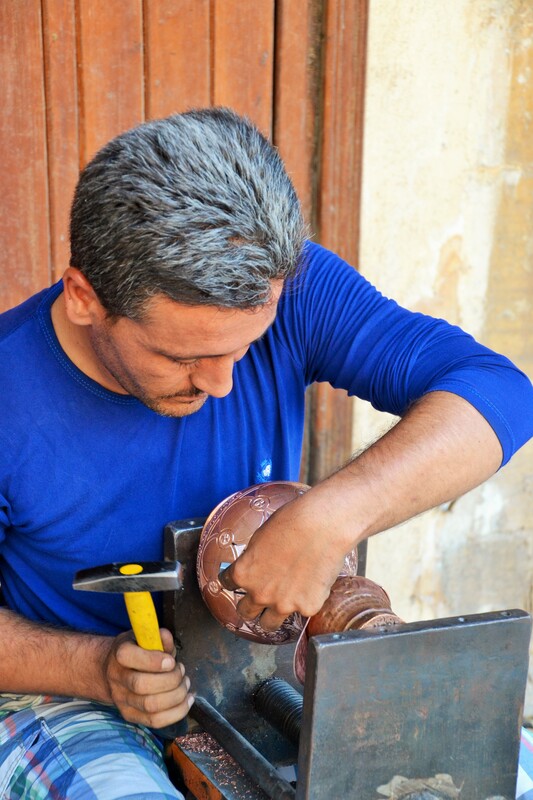 He’s from Giresun in the Black Sea region of northern Anatolia of Turkey. He attended medical school at Ankara University and completed his thoracic surgery training in Ankara before going to Adiyaman State Hospital in the bordering Turkish province of Adiyaman in southeastern Turkey. He was an associate professor of thoracic surgery at Yuzuncu Yil University in the far eastern province of Van, Turkey before coming to Gaziantep in 2005. He became a full professor at the University of Gaziantep in 2013. In additional to authoring and contributing to his own publications, he also served as a reviewer for the Edorium series of open access journals. He doesn’t seem to mind my questions tumbling out one after another. I’d like to be the cool, sophisticated visitor, but I’ve been waiting so long to ask some of these questions – and frankly, I am just excited to be there. Since our last post about Dr. Işık – he has performed several more cases of HITHOC on patients with pleural mesothelioma, pleural based cancers and advanced lung cancers. He now has 79 patients in the HITHOC treatment group. He has been receiving patients from all over Turkey, including Istanbul to be evaluated for eligibility for this procedure. While the majority of patients are referred by their oncologists, others come to Gaziantep after reading about Dr. Işık on the internet. While much of the literature surrounding the procedure cites renal failure as one of the major complications of the procedure, Dr. Işık has had one case of renal failure requiring dialysis. Any other instances of elevated creatinine were mild and transient. He doesn’t use any chemical renal prophylaxis but he does use fluid rehydration to limit nephrotoxicity. He reports that while many surgeons consider sarcomas to be a contraindication to this procedure, he has had good outcomes with these patients. He does state that diaphragmatic involvement in mesothelioma is an absolute contraindication because while the diaphragm can be resected / patched etc, it is almost impossible to guarantee or absolutely prevent the seeding of microscopic cancer cells from the diaphragm to the abdominal cavity – which increases the risk of disseminated disease. He still uses Cisplatin – since that is what the original HITHOC researchers were using, but he uses a slightly higher dose of 300mg. He’d like to do some prospective studies utilizing HITHOC (these have all been retrospective in nature – comparing today’s patients with past patients that received PDD and pleurodesis for similar conditions). Prospective studies would allow him to better match his patients and to compare treatments head to head. It would also allow him to compare different techniques or chemotherapeutic agents. Unfortunately, as he explained, many of these types of studies of ineligible for government funding in Turkey because the government doesn’t want to pay for experimental / unproven treatments for patients even if there are few or no alternatives for treatment. He is hoping to appeal this regulation so that he can continue his research since there is such a high rate of mesothelioma, that disproportionately affects rural Turkish patients. 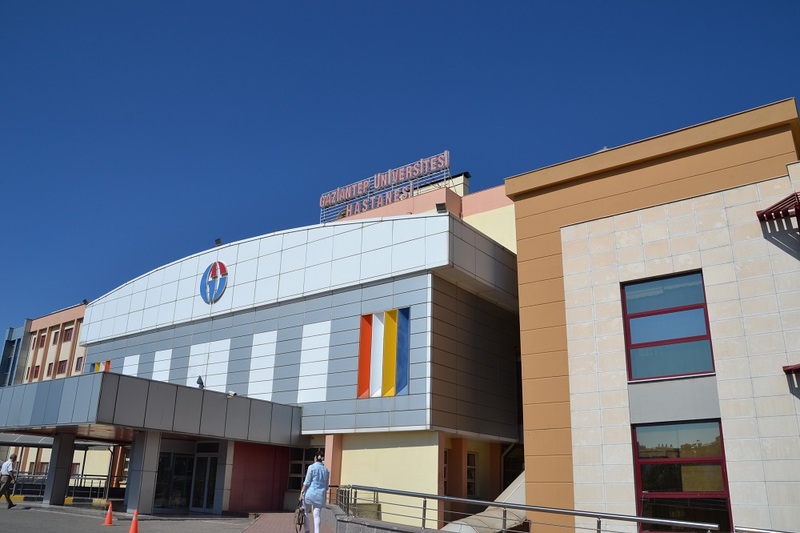 The University Hospital is one of several hospitals in Gaziantep. The academic institution has over 900 beds and 20 operating rooms spread out over three floors. There is a large 24 bed surgical ICU which includes 4 dedicated thoracic surgery beds. Thoracic surgery may not be the advertised superstar of the hospital but it is the backbone of patient care. 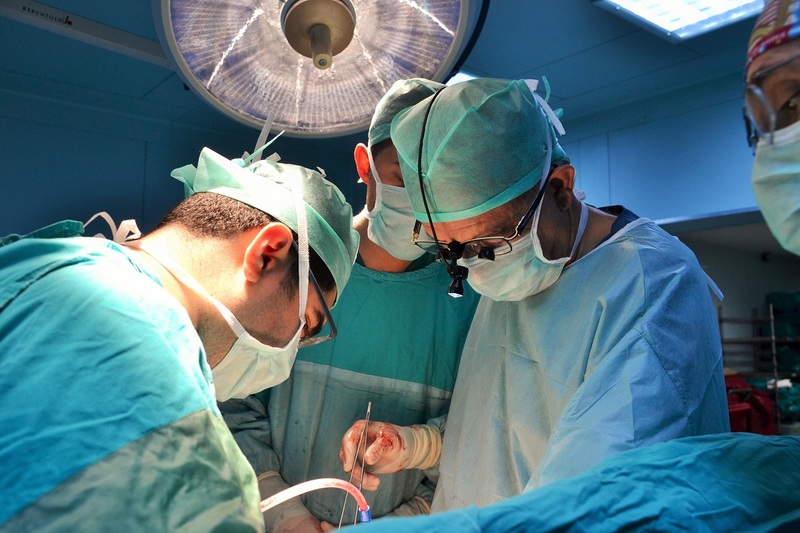 There are three full-time professors of surgery; Dr. Ahmet Isik, Dr. Levent Elbeyli and Dr. Bulent Tunçözgür, along with an associate professor, Dr. Maruf Sanli, several thoracic surgery fellows and research assistants. 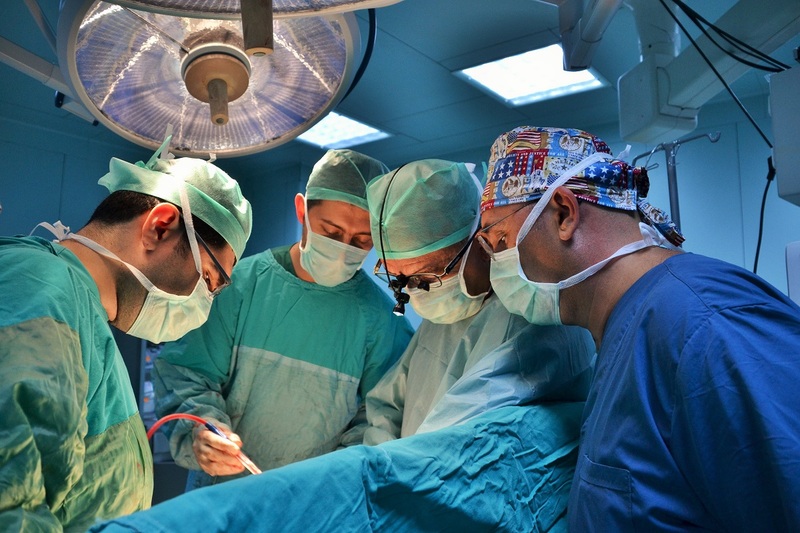 Together the thoracic surgery team performs over 1000 cases a year. 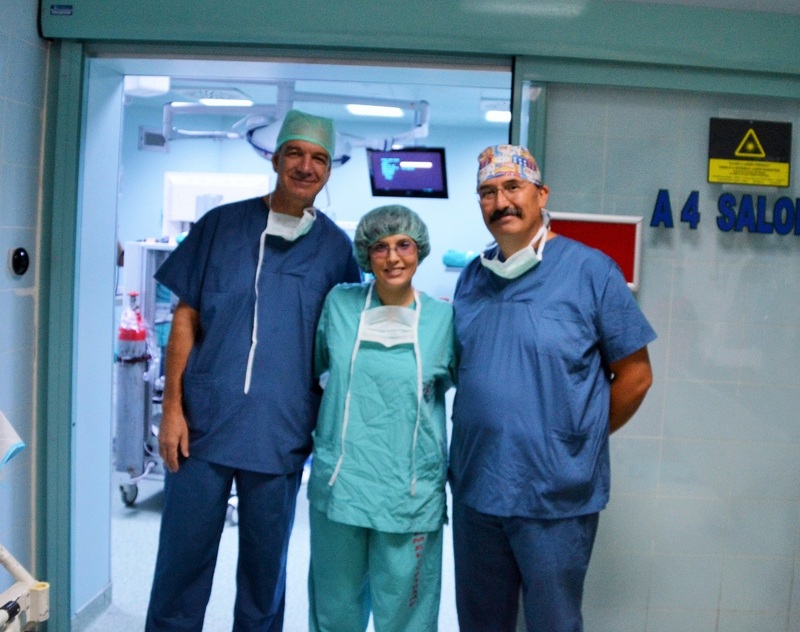 Dr. Levent Elbeyli is the driving force for thoracic surgery. A Gaziantep native, he founded the department in 1992, and has seen it grow from a few scattered beds to a full-fledged program with a full-time clinic, 2 dedicated operating rooms, 4 ICU beds and 15 to 20 cases a week. For the thoracic nurse, the department of Thoracic Surgery is a dream come true; tracheal cases, surgical resections, esophagectomies, thoracic trauma – all of the bread and butter that makes our hearts go pitter-pat. But then there is also plenty of pediatric cases, pectus repair, foreign body removal (oro-esophageal) and on-going surgical research. They do a large amount of pediatric and infant bronchoscopies (for foreign body obstructions, tracheal malformations etc). There is the slightly exotic hydatid cysts and the more mundane (but my personal favorite) empyema thoracis to be treated. Cancers to be staged, and chest wall resections to undertake. I feel almost overwhelmed in my own petite version of a candy store; everywhere I turn I see opportunities to learn, case reports to write and new things to see. Dr. Levent Elbeyli operates as Dr. Isik observes. My non-medical readers might be slightly repulsed by my glee – but it is this intellectual interest that keeps me captivated, engaged and enamored with thoracic surgery and caring for thoracic surgery patients. And then there is the HITHOC program. 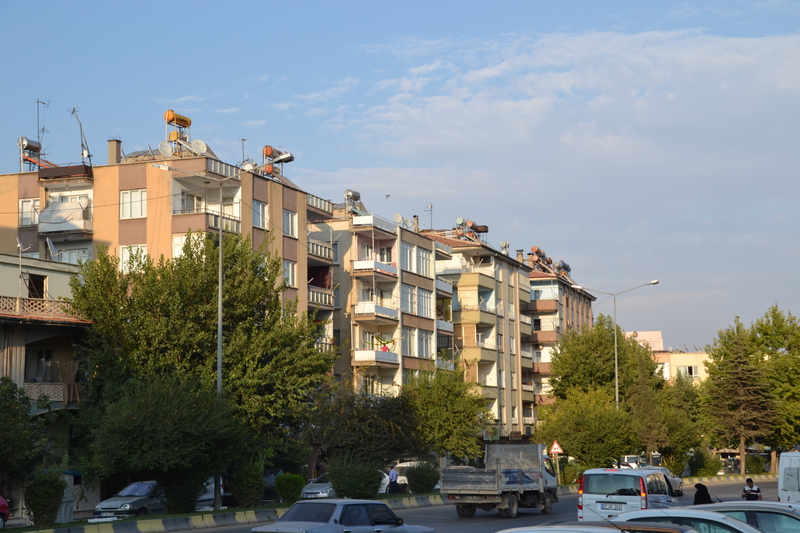 With a large volume of mesothelioma and pleural based cancers due to endemic environmental asbestos in rural regions of Turkey, there is an opportunity to bring hope and alleviate suffering on a larger level. (Dr. Isik sees more cases here in his clinic in one year than I have seen in my entire career). In this study, Dr. Isik and hs team looked at 73 patients with malignant pleural mesothelioma (MPM) who were in three different treatment groups. Group 1 received surgery only (extrapleural pneumonectomy). Group 2 received palliative treatment only. Group 3 received lung sparing surgery with hyperthermic chemotherapy (HITHOC). Lung sparing surgery included pleural decortication. While the treatment groups are small, the results show a clear survival benefit to the patients receiving HITHOC. Surprisingly, the palliative group lived longer than the surgery alone group. Işık AF, Sanlı M, Yılmaz M, Meteroğlu F, Dikensoy O, Sevinç A, Camcı C, Tunçözgür B, Elbeyli L (2013). Intrapleural hyperthermic perfusion chemotherapy in subjects with metastatic pleural malignancies. Respir Med. 2013 May;107(5):762-7. doi: 10.1016/j.rmed.2013.01.010. Epub 2013 Feb 23. The article that brought me to Turkey, and part of our series of articles on the evolving research behind HITHOC. Isik AF, Tuncozgur B, Elbeyli L, Akar E. (2007). Congenital chest wall deformities: a modified surgical technique. Acta Chir Belg. 2007 Jun;107(3):313-6. Isik AF, Ozturk G, Ugras S, Karaayvaz M. (2005). Enzymatic dissection for palliative treatment of esophageal carcinoma: an experimental study. Interact Cardiovasc Thorac Surg. 2005 Apr;4(2):140-2. Epub 2005 Feb 16. Er M, Işik AF, Kurnaz M, Cobanoğlu U, Sağay S, Yalçinkaya I. (2003). Clinical results of four hundred and twenty-four cases with chest trauma. Ulus Travma Acil Cerrahi Derg. 2003 Oct;9(4):267-74. Turkish. 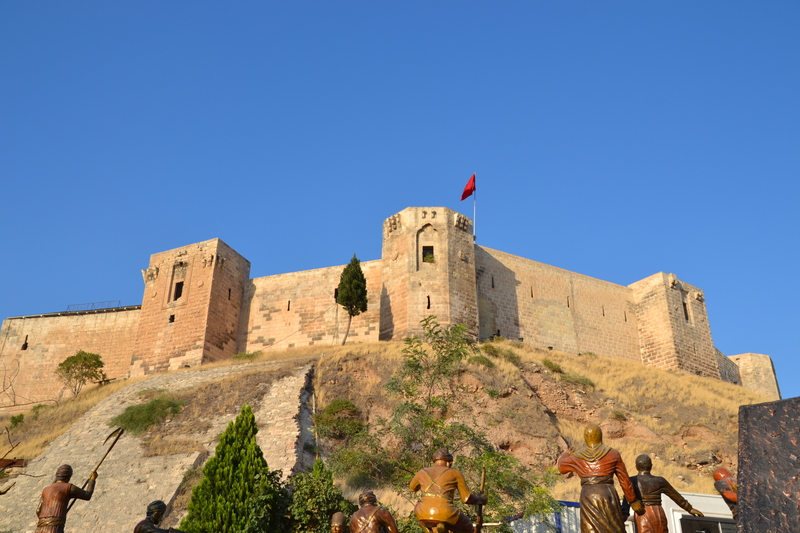 Sanli M, Arslan E, Isik AF, Tuncozgur B, Elbeyli L. (2013). Carinal sleeve pneumonectomy for lung cancer. Acta Chir Belg. 2013 Jul-Aug;113(4):258-62. Maruf Şanlı, MD, Ahmet Feridun Isik, MD, Sabri Zincirkeser, MD, Osman Elbek, MD, Ahmet Mete, MD, Bulent Tuncozgur, MD and Levent Elbeyli, MD (2008). Reliability of positron emission tomography–computed tomography in identification of mediastinal lymph node status in patients with non–small cell lung cancer. The Journal of Thoracic and Cardiovascular Surgery, Volume 138, Issue 5, Pages 1200–1205, November 2009. Sanlı M, Isik AF, Tuncozgur B, Elbeyli L. (2009). A new method in thoracoscopic inferior mediastinal lymph node biopsy: a case report. J Med Case Rep. 2009 Nov 3;3:96. doi: 10.1186/1752-1947-3-96. Sanli M, Isik AF, Zincirkeser S, Elbek O, Mete A, Tuncozgur B, Elbeyli L. (2009). The reliability of mediastinoscopic frozen sections in deciding on oncological surgery in bronchogenic carcinoma. J Thorac Cardiovasc Surg. 2009 Nov;138(5):1200-5. doi: 10.1016/j.jtcvs.2009.03.035. Epub 2009 Jun 18. Sanli M, Işik AF, Tunçözgür B, Arslan E, Elbeyli L. (2009). Resection via median sternotomy in patients with lung cancer invading the main pulmonary artery. Acta Chir Belg. 2009 Jul-Aug;109(4):484-8. Sanli M, Işik AF, Tunçözgür B, Meteroğlu F, Elbeyli L. (2009). Diagnosis that should be remembered during evaluation of trauma patients: diaphragmatic rupture]. Ulus Travma Acil Cerrahi Derg. 2009 Jan;15(1):71-6. Turkish. Tagged as: extrapleural pneumonectomy, Gaziantep Turkey, HITHOC, How to find treatment for malignant pleural mesothelioma, How to survive malignant mesothelioma, hyperthermic intrathoracic chemotherapy for treatment of cancer, malignant effusion, malignant pleural mesothelioma, pleural disease, sugarbaker, thoracic surgery, where do I go for affordable HITHOC medical care?, Who can help me find treatment for advanced lung cancers?